Online Appearance & New Books Out! ♦ Online Appearance! Monday, November, 5th: Eden will be blogging at the UK’s Lovehoney site! ♦ Book Re-Release! 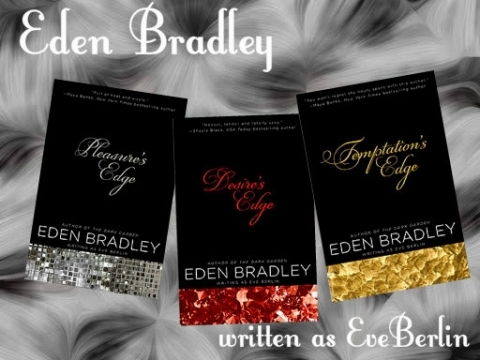 The re-issues of Eden/Eve’s ‘Edge’ series, PLEASURE’S EDGE, DESIRE’S EDGE andTEMPTATION’S EDGE, are out now! Find them in a store near you, or on Amazon or B&N!